An Ohio State Highway patrolman and a woman who were sitting in his cruiser after her vehicle became disabled were injured yesterday when a tractor trailer slammed into the back of the cruiser on I-70 East in Licking County. The state trooper was parked on the shoulder of I-70 with the woman from the disabled car in his back seat when a tractor trailer loaded with furniture ran off the highway and hit the trooper’s vehicle. The woman was flown to a local hospital and treated for minor injuries, and the trooper was taken by ambulance to another hospital. Neither victim had injuries that were life threatening. After the wreck, the state highway patrol posted photos of the wreck on its Facebook page, writing that there are lessons to draw from the wreck. “If you’ve ever seen an emergency vehicle stopped on the side of a roadway and wondered whether you should move over a lane, look at these photos of a crash from just this morning,” they wrote. The trooper had put down road flares and his lights were flashing, and it was a clear and sunny day. Ohio law states that vehicles to move over a lane when passing a stopped emergency vehicle. Our Virginia truck accident attorneys would like to remind all truck drivers that it is incredibly important to stay alert and fit to drive! There is no excuse for not seeing a police car with flashing lights and road flares on a sunny day on the side of the interstate. The only reason this could occur, short of a medical emergency, is that the truck driver was distracted – either falling asleep at the wheel or distracted by a cell phone or something similar. The Virginia CDL Manual stresses that all truck drivers must be certain that they are properly rested and fit to drive when they start their shift. 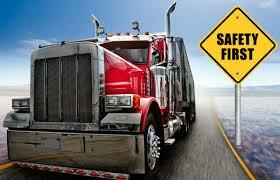 Pushing oneself beyond safe limits can lead to very serious and often fatal tractor trailer accidents. Not only can truck drivers cause serious injuries and death when they neglect their duties: They also can be sued for millions of dollars in personal injury and wrongful death lawsuits. We have represented the families of grieving families whose loved ones were severely injured or killed by distracted truck drivers, resulting in multi million dollar settlements. Pushing oneself to drive longer than one should is not worth it.